Jomar prides itself on uncompromising customers service. We realize that sales are won by price, but lost by service. Our 45 years in business and numerous repeat customers reflect our dedication to after-sales service. Our technicians are obviously trained on the hydraulics, electronics and all other aspects of the Jomar injection blow machine, but they are also trained in identifying problems remotely and then conveying the solution in a concise manner to customers from around the world. Jomar’s service department has helped customers in numerous languages from dozens of countries. In most cases, problems with machines can be handled via telephone or email. Technology has aided our service department by giving us the ability to receive photographs and video of problems. However, one technology that has vastly improved our service department’s ability to assist customers from the other side of the globe is Skype. Skype is a free, internet-based software program that allows users to transmit video from webcams, iPads and mobile devices. Some versions of the software even allow users to send files, make phone calls and video conference with multiple users. With Skype, customers are able to talk to our technicians directly while also transmitting a live feed of the problems. The immediate response and interaction is like having a Jomar technician at your side. 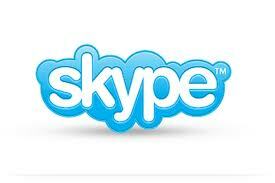 We suggest our customers ask their IT departments to evaluate Skype and see if it is appropriate for your company. Customers may also contact Tony Turner, Jomar’s Parts Department Manager at jomarparts.